Moroccan Leg of Lamb Roast, Dole Pineapple and Pineapple-Jalapeno Jelly came together to make these fantastic Grilled Lamb and Pineapple Kabobs. 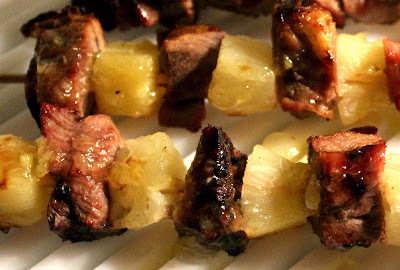 Perfect for summertime, I served these over a bed of white rice with a side salad. Soak wooden kabob skewers 30 minutes in cold water. 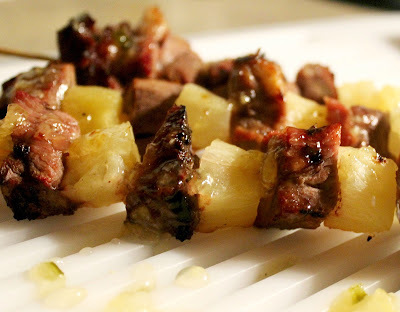 Remove skewers from the water and thread lamb and pineapple chunks alternately onto wooden skewers. Heat grill to medium-indirect heat. Place kabobs on grill and cook 5-7 minutes per side. 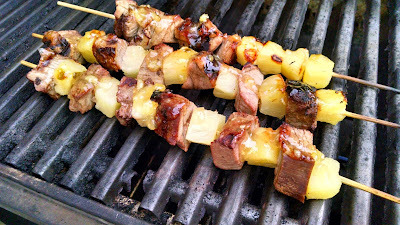 Baste Pineapple-Jalapeno Jelly over kabobs during the last 2-3 minutes of cooking time. Remove kabobs from the grill and serve with more Pineapple-Jalapeno Jelly if desired. *Cooks note - I used large leftover sections of lamb previously cooked from the Moroccan Leg of Lamb roast and cut them into 2"-inch pieces. 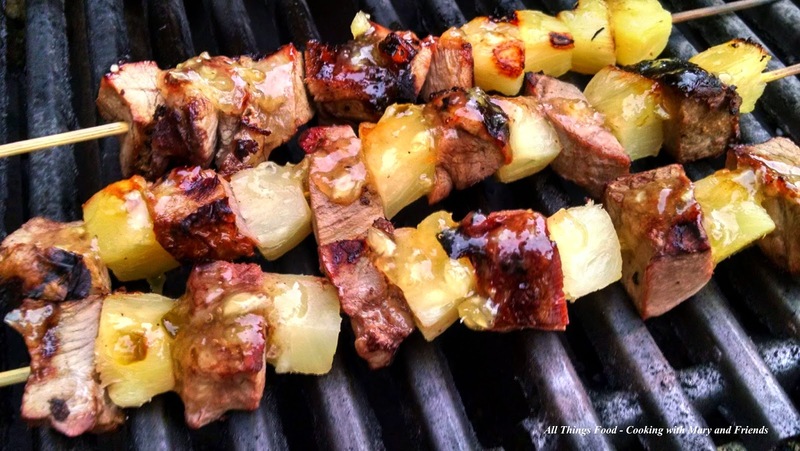 You could use uncooked cubed lamb stew meat and simply mix up the Moroccan marinade to soak the lamb in prior to grilling. Soak at least one hour or as long as overnight.